I hope everyone had a wonderful Easter! 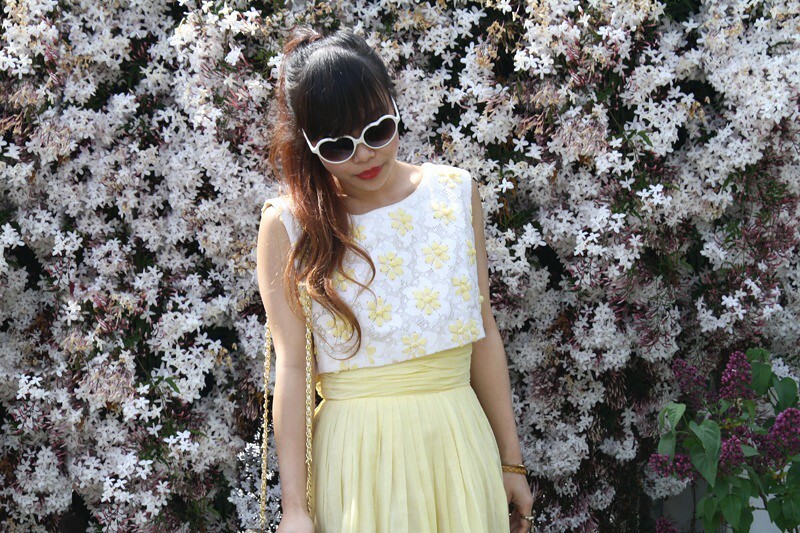 I took advantage of the day and wore the most perfect dress and looked like a yellow Easter egg! It was great! This vintage dress is so darling, I love the overlay lace piece with ribboned flowers and the pleated waist. I wore it with vintage leather and mesh flats and a pair of heart shaped sunglasses. Oh, and of course I had to wear my bunny ring for Easter! It was such a lovely and warm day, it feels like Spring is finally here! I mean, just look at those beautiful blossoms! Acting like a kid, playing with a neighbor's cat. Vintage 60s floral lace dress by Miss Elliette from Re-Collection Clothing. Heart shaped sunglasses from it's not her, it's me. 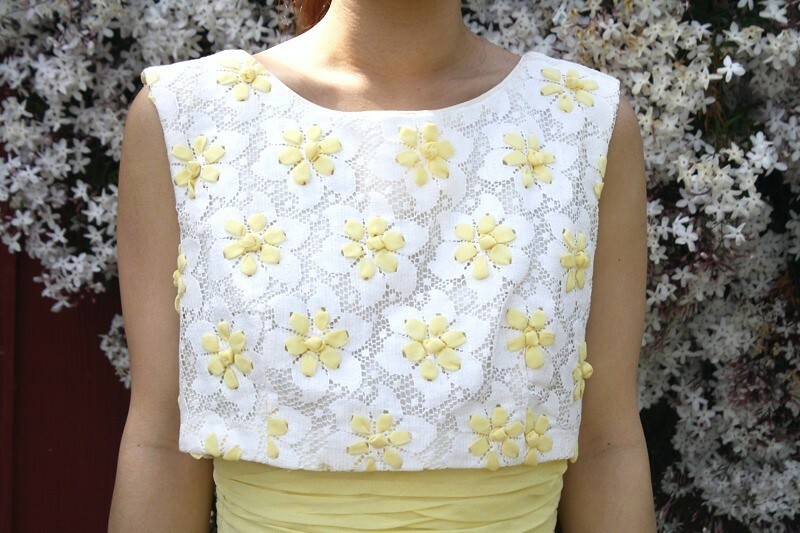 What a perfect backdrop of blossom for a perfect spring look. You are radiant in the lace and lemon hues of that lovely vintage dress. I love your Easter dress ! !Great style dear ! Oh my goodness, between the dress and the bunny ring I think I just died. Thank you so much for your lovely comment today! I'm sad that I didn't know about your blog before, I'm already a huge fan, everything is so lovely and just perfect! Serious dress envy! Love the skirt! is so precious!! I DIE. The flower overlay seriously kills me. Awww that cat is soo cute. I like the outfit, very summery! Beautiful dress, and perfect backdrop. This dress is adorable, such a nice shape, you look beautiful. I love your dress! Love you're style!